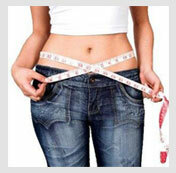 Obesity is a medical condition in which excess body fats present in the body. Obesity is an abnormal accumulation of body fat, usually 20% or more over an individual's ideal body weight. Obesity is associated with increased risk of illness and disability. Obesity is an altered physiological and metabolic state, with environmental, genetic and hormonal determinants which results in increased morbidity and mortality. Some aspects of obesity that lead to an impairment in the body function are anatomic and relate to the increase in the body fat mass per as such as osteoarthritis, immobility, lymph edema and to some extent sleep apnea. Obesity increases in various diseases, particularly heart diseases, type 2 diabetes, obstructive, certain types of cancer and asthma. Obesity is most commonly caused by a combination excessive food energy intake, lack of physical activity. Obesity increases the risk of many physical and mental conditions. Consumption of sweetened drinks is believed to be contributing to the rising rates of obesity. Dieting and physical exercise are the main stays of treatment of obesity. Diet program may produce weight loss over the short term. But maintaining this weight loss is frequently difficult and often requires making exercise and lower food energy diet a permanent part of a person's life style. Herbal products and few home remedies may be taken to reduce appetite or inhibit fat absorption together with a suitable diet. Do some exercise regularly like walking, jogging, etc. it helps to reduce weight. Doing house hold works like groceries, vegetables etc. by walking. Try to have a tension free and relaxed mind. Consuming wheat products than rice products help to reduce obesity. Practicing yoga regularly will work wonderful for your mind and heart. You should eat mixed fruit and raw vegetable salad. Maintain the eating details and go easy on dieting. Drinking lemon juice mixed with warm water and a teaspoon of honey in the morning. You should eat sprouts and have a glass of orange or carrot juice in the breakfast. Salad of raw vegetables such as carrot, cucumber, cabbage, tomatoes etc... Steamed or boiled vegetables. You should have fresh vegetable soup regularly. Increase the quantity of fruits and vegetables and low calories food. Milk products like cheese, butter etc.should be avoided. Non-vegetarian food should be avoided as they are rich in fat. Mint is very beneficial in losing weight. Spices like dry ginger, cinnamon, black pepper etc. are good for losing weight. Avoid rice and potato which contain a lot of carbohydrates. Vegetables like bitter gourd (karela) are useful for losing weight. Running, swimming is a good exercise for losing weight. Honey is excellent for obesity; it mobilizes the extra deposited fat in the body allowing it to be utilized as energy. Regular intake of pineapple juice. Raw or cooked cabbage inhibits the conversion of sugar and carbohydrates into fats. Exercise is important part of any weight reduction plan. Trim Support - 1 capsule twice daily with plain water half an hour after meals. Stholyantaka Churna - 1 tsf, twice daily with plain water after meals. Its decoction can also be prepared by mixing 1 tsf of the powder in a glass of water and boiling it to one-fourth the quantity. Garcinia Capsules - 2 capsules twice daily with plain water half an hour after meals. Guggul Capsules - 1 capsule twice daily with plain water half an hour after meals.